Okay, let’s be honest here: snails are icky looking. But that doesn’t mean they aren’t powerful totems. Snails are all about in the inner child and wonder. Snail people tend to have some problems trusting. Snails help break down the “shell” and learn to trust the right people. They are also symbolic of protection, of emotions and the spirit, so if you call on the snail to help you trust, the snail will help you learn WHO to trust as well as HOW to trust. 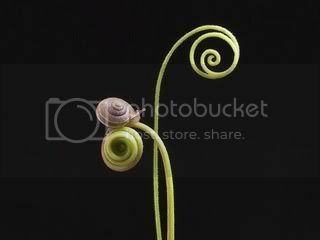 The spirals on a snail shell represent infinity. The spiral is an old symbol, and represents connectedness to the divine. Snails have also been considered lunar symbols, and symbols of rain. Some early Christians said the snail was a symbol of lewdness.